2000+ SOLD !! 6 MONTH WARRANTY !! FREE SHIPPING ! It includes these output connectors: 24(20 4)pin x 1, P4-12V 4pin x 1, SATA II 15pin x 2, Molex 4pin x 2, and FDD 4pin x 1. As advertized, works great. Max Output Power 350 Watt. 0° C ~ 50° C on Output Load ;. Acer uses all 3 interchangeably. Output Power: 220 Watt. MTBF: 100,000 Hours on Maximum Load at 25°C. ATX Connector: 20 4. Compatible Part #'s. 24/7 Support. until 12pm central. 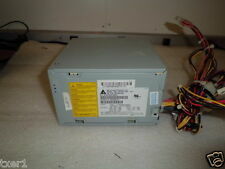 HP 508548-001 650W Watt Switching Power. Certification: 80 Plus Bronze. Part Number: 508548-001. Any problem with an item must be reported within warranty period. RAID Cards. You may be interested in. Trending at $32.50eBay determines this price through a machine learned model of the product's sale prices within the last 90 days. However, I am unwilling to claim that I am perfect. Good quality, good operation. Key Features. We promise we will do our best to serve you. We also provide 6 Months Warranty for DOA parts. Installation instructions not included, Tool not included. It includes these output connectors: 24(20 4)pin x 1, P4-12V 4pin x 1, SATA II 15pin x 3, Molex 4pin x 2, and FDD 4pin x 1. Max Output Power 435 Watt. 0° C ~ 50° C on Output Load ;. MTBF 100,000 Hours on Maximum Load at 25°C. HP Compaq Elite 8300 SFF, HP Compaq Pro 6300 SFF. HP Compaq 6200 PRO SFF, 8100 Elite SFF. SP#: 611481-001 P/N: 613762-001. For HP Z220 SFF Workstaions. HP 400G1PD, 600PD, 6300P, 6305P, 8300E SFF. HP 632911-001 Z420 Workstation Switching. Manufacturer HP. RAID Cards. (Connections) 1x 18 Pin, 1x 6 Pin, 2x 4 Pin, 6x SATA. Certification N/A. Input 100-240V. Trending at $32.49eBay determines this price through a machine learned model of the product's sale prices within the last 90 days. Manufacturer HP. Part Number 511778-001. RAID Cards. Graphics Cards. You may be interested in. Connections Modular. Input 100~240V. SAN Storage. FACTORY SEALED HP! 3 YEAR WARRANTY! SAME DAY SHIPPING! LIKE NEW! TESTED! 1 YEAR WARRANTY!!! SHIPS SAME DAY!! Item is used and in good condition. We will respond promptly to your inquiry. 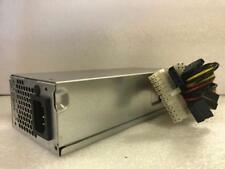 This auction is for (1) HP Elitedesk 800 G1 Small Form Factor power supply pulled from an Elitedesk 800G1 SFF machine. 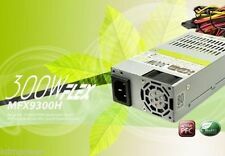 This power supply is a genuine replacement for Elitedesk 600 G1, 800 G1, as well as workstation Z230 and other models as well. If your old supply contains one of the model numbers listed below, it will work in your machine. This model also works with Elitedesk 600 G2 and 800 G2 machines. You will receive a genuine HP supply, usually matching one of the following part numbers listed (possibly a different part number since they use so many) Part Number: 702307-002 / 751884-001 / 751884-001 / 751886-001 / 702307-002 / 702309-002 Model Number: PCC002, PCC004 Compatible Machines: HP ELITEDESK 600G 1, 800 G1, 600 G2, 800 G2 and more! Please verify compatibility with your system before purchasing. 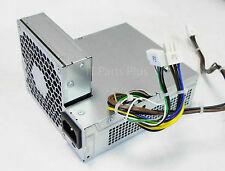 Genuine HP 613762-001 611481-001 DPS-240TB A 240W Power Supply Tested & Working! Includes both(2) main board SATA power cables. Pulled in perfect working condition, cleaned and tested. HP 800 G3 AIO. FOR HP MODELS. Mother Board Connector Fast service and great product. - 4 Pin Molex - SATA Connectors - 4 pin x 1. - CPU Connector - 20 4 pin Connector x 1. During past 6 months. Good quality, good operation. Key Features. We promise we will do our best to serve you. We do our best to resolve any issue. We also provide 6 Months Warranty for DOA parts. Installation instructions not included, Tool not included. Spare Part No. 508152-001. Pulled from working unit. These are pulled from a good working unit. Exactly as advertized! it works and fits great. - Mother Board Connector Item as described and tested good! - 4 Pin Molex - SATA Connectors - 4 pin x 1. - CPU Connector. 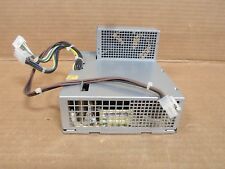 This auction is for (1) HP 240W Power Supply for use in Pro 6000 6005 6200, or Elite 8000 8100 8200 Small Form Factor machines. Part Number: 503375-001 or 503376-001 or compatible (there are many HP Part numbers that are used for this supply) Spare Number: 508151-001 / 611481-001 /613762-001 Please verify compatibility with your system before purchasing. It is for HP Pavilion Slimline Desktop PCs such as the S5-1021 and more! CL HP Pav Slimline s5-1018hk PC HK. CL HP Pav Slimlne s5-1024lat PC LTNA. HP PAVILION SLIMLINE S5-1400T CTO REFURB. HP PAVILION SLIMLINE S5-1540. A real pleasure. HP part numbers 611481-001 613762-001. working system pull. Works And Looks Like New. My 3rd buy. Will buy from again! In excellent condition, pulled from working machine, tested, includes what is shown in pictures. Every effort has been made to ensure the accuracy of all information contained herein. The actual product you receive may differ slightly from item shown in picture. NOT FORDELL OPTIPLEX 790 990 390 SFF CCCVC. 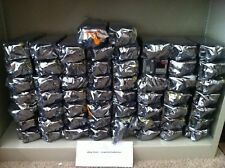 Dell Optiplex H240ES-00 H240AS-00 AC240ES-00 AC240AS-00 L240AS-00 240W. The item works fine. Works like a champ, just what the computer needed! MTBF 100,000 Hours on Maximum Load at 25°C. 100% Genuine. Power cord is not included. Picture shows actual item condition. It is for HP Pavilion Slimline Desktop PCs such as the S5-1021 and more! Compatible with: CL HP Pav Slimline s5-1018hk PC HK. CL HP Pav Slimlne s5-1024lat PC LTNA. HP PAVILION SLIMLINE S5-1400T CTO REFURB. HP computer power supplies assist in the support of the computing device that they are hooked up to. The power supply units provided by HP run at a wide variety of different wattage amounts, permitting you to select the device that fits your requirements. There are numerous form factors available with these systems, each of which correlates with a different type of case and board. What are the different connectors on a power supply? When you are attempting to hook up your computer to the HP power supply of your choosing, there are a large number of different connectors that you might use during the process. The most common of these is the 24-pin port. These cables provide additional energy when you’re using the PCI Express slots for the installation of an extra graphics card. Most of these power supply units by HP also include a SATA I port, which you can use if you wish to hook your hard drive directly to the power supply. Other connections that you will want to be on the lookout for include a 6+6 pin for powering PCI expansion slots and a four-pin peripheral port that can be used for hooking up all kinds of components to the power supply, including case lighting and extra fans. How much power is needed for an HP power supply? When you are selecting a power supply by HP, there are a variety of different outputs provided by these devices. The wattage you require all depends on what you are using your system for. For instance, if the computer is primarily used for e-mails, browsing the internet, and writing documents, a power supply between 50 and 250 watts will provide you with everything you require. However, if you play intensive video games or use editing software on a regular basis, the wattage may need to be between 250 and 499 Watts. The total wattage available with one of these models can go higher than 1,500 Watts. Which form factors are available with HP power systems? When you are selecting an HP power supply for your desktop, there are a range of different form factors available to you. All form factors are a part of the AT and ATX connector types. The power supply systems provided by HP include many form factors such as BTX, EPS, FlexATX, iMac, MicroATX, and Mini-ATX; the majority of these are classified as ATX models. ATX models utilize a 20-pin plug to connect directly to the motherboard. Most power supply devices by HP classify as ATX, but a small number use AT connectors. If you select an AT power supply, it uses two 12-pin plugs to send power through the motherboard.